Pacific Rim hunter-gatherer-fishers, evolutionary ecology, evolution of storage and sedentism, ancestral diet and modern health, nutrition and sustainability, indigenous resource management, residue studies, psychoactive plant use, contact and colonialism, complexity and anarchism, collaborative research and contemporary indigenous communities, heritage management. I have a broad background in academic, tribal, and cultural resource management archaeology. Current research is based in the American west, with projects in the Pacific Northwest, Plateau, northern Great Basin, and California. 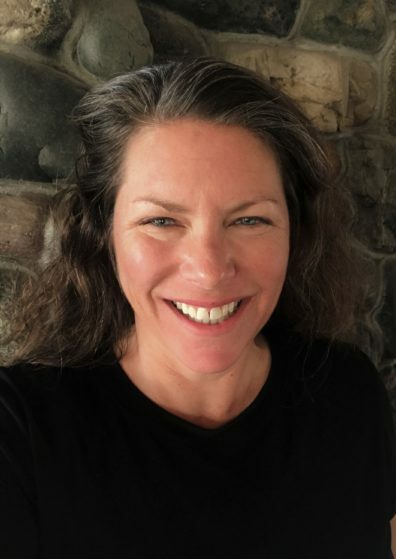 I am an anthropological archaeologist with research broadly centered on human-environmental relationships and the evolutionary archaeology of hunter-gatherer-fishers in western North America. My research program involves field, laboratory, and legacy collection studies in collaboration with indigenous communities that explore: (1) the behavioral ecology and evolution of hunter-gatherer socio-economic systems, (2) the evolution of psychoactive plant use by worldwide human cultures, and (3) equity and multivocality in STEM science and the dissemination of knowledge. Current projects investigate women, leadership, and decision-making (past and present), the fundamental role of women in the development of storage based societies, and the historical ecology of coastal habitats and fisheries use. My research program involves active field studies in northern CA and the northern Great Basin and work in my Ancient Residue Laboratory at the Department of Anthropology, where I employ experimental archaeology and macro and micro analytical techniques to identify a range of archaeological residues, often in collaboration with biological/plant metabolomics chemists, fisheries scientists, Ancient DNA analysts, paleoethnobotanists, and zooarchaeologists. 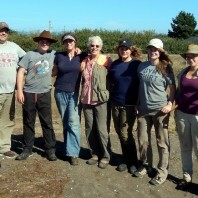 I engage in a variety of method development projects and direct students who assist with projects investigating a range of topics including the historical ecology of marine environments in the southern Pacific Northwest Coast, Plateau-Basin storage and sedentism, and the evolution of intoxicant plant use. My work as Director of the Museum of Anthropology (MOA) is deeply interwoven with my research program. The MOA is home to substantial legacy collections, archives, the Northwest Library, and significant laboratories and facilities. These resources and capabilities make the MOA an ideal center for Plateau-Basin research. My approach is explicitly collaborative, involving research with contemporary descendant communities. Studies are developed to incorporate their issues of concern, which include broader impact research issues revolving around historical ecology, sustainability and management, ancestral diet and healthy traditional food/community nutrition programs, traditional versus commercial tobacco use and cessation/healthy use programs, and responses to threatened access to critical marine foods and the natural and human induced impacts on these resources. Research opportunities for graduate students include masters and dissertation level projects based on original fieldwork, and/or museum collections from western North America. I encourage students to contact me if they are interested in developing a particular idea or research project. I work with a team of exceptional students who work on a range of research topics related to hunter-gatherer-fishers in the Northwest and northern Great Basin. Plateau Archaeology at WSU: In my work at the Museum of Anthropology I oversee substantial collections mostly from the Plateau region of North America, an exceedingly interesting yet relatively understudied cultural area. Because of WSU’s geographic position, its history of research, and commitment to collaboration with local tribes, there are abundant research possibilities for students. Undergraduate opportunities include directed research projects and (for credit or volunteer) internships. Interns enrolled in ANTH 498 or ANTH 499 earn academic credits and contribute to scientific research while gaining valuable experience working with archaeological materials. Brownstein, Korey J. , Shannon Tushingham, William J. Damitio , Tung Nguyen, and David R. Gang A metabolomics-based method to distinguish closely related plant species in ancient residues. Nature: Methods. In review. Fulkerson, Tiffany, Shannon Tushingham (2019) Who dominates the discourses of the past? Gender, occupational affiliation, and multivocality in North American archaeology publishing. American Antiquity 84(3). In press. Tushingham, Shannon (2019) Southern Pacific Northwest Coast Plank House Villages: Evolution and Expansion Within a Landscape of Ordered Anarchy. Cowboy Ecology: Essays in Honor of R.L Bettinger. Center for Archaeological Research at Davis Monograph 19, Accepted pending minor revisions. Fulkerson, Tiffany, Shannon Tushingham (2019) Writing and Publishing in Anthropology: Voices, Insights, and Disciplinary Trends. Journal of Northwest Anthropology 53(1). 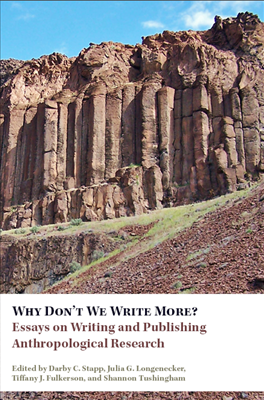 Stapp, Darby, Julia G. Longenecker, Tiffany J. Fulkerson, and Shannon Tushingham (Editors) (2019) Why Don’t We Write More? Essays On Writing and Publishing Anthropological Research. JONA special reprint. Northwest Anthropology LLC, Richland, Washington. Gillreath-Brown, Andrew, Aaron Deter-Wolf, Karen R. Adams, Valerie Lynch-Holm, Samantha Fulgham, Shannon Tushingham, William D. Lipe, R. G. Matson (2019) Rise of Tattooing in the Neolithic Demographic Transition: A 2000-year-old Tattoo tool from Utah. Journal of Archaeological Science: Reports. Tushingham, Shannon, Charles M. Snyder, Korey J. Brownstein, William J. Damitio, David R. Gang. (2018). Biomolecular archaeology reveals ancient origins of indigenous tobacco smoking in North American Plateau. Proceedings of the National Academy of Sciences. Palmer, Erica, Shannon Tushingham, and Brian Kemp (2018). Human Use of Small Forage Fish: Improved Ancient DNA Species Identification Techniques Reveal Long Term Record of Sustainable Mass Harvesting of Smelt Fishery in the Northeast Pacific Rim. Journal of Archaeological Science 99:143-152. Damitio, William, Andrew Gilreath-Brown, and Shannon Tushingham (2018) “Seeing the Forest for the Trees”: A Spatial Database to Enhance Potential of Legacy Collections at the Washington State University Museum of Anthropology. Journal of Northwest Anthropology 52(2). Tushingham, Shannon, and Robert L. Bettinger (2018) Storage Defense: Expansive and Intensive Territorialism in Hunter-Gatherer Delayed Return Economies. Quaternary International. Eerkens, Jelmer W., Shannon Tushingham, Korey J. Brownstein, Ramona Garibay, Katherine Perez, Engel Murga, Philip Kaijankoski, Jeffrey Rosenthal, David R. Gang (2018). Dental Calculus as a Source of Ancient Alkaloids: Detection of Nicotine by LC-MS in Calculus Samples from the Americas. Journal of Archaeological Science Reports. Tushingham, Shannon, Tiffany Fulkerson, and Katheryn Hill (2017) The Peer Review Gap: A Longitudinal Case Study of Gendered Publishing and Occupational Patterns in a Female-Rich Discipline (1974-2016). PLOS ONE. Anderson, Shelby, Shannon Tushingham, and Tammy Buonasera (2017) Aquatic Adaptations and the Adoption of Arctic Pottery Technology: Results of Residue Analysis. American Antiquity 82(3): 452-479. Morgan, Christopher, Shannon Tushingham, Raven Garvey, Loukas Barton and Robert L. Bettinger (2017) Hunter Gatherer Economies in the Old World and the New World. In: Encyclopedia of Agriculture and Environment. Oxford Press, Oxford, England. Tushingham, Shannon, and Richard Brooks (2017) Inland Sanctuary: A synergistic study of indigenous persistence, colonial entanglements, and multi-ethnic households at Hiouchi (Xaa-yuu-chit). Oregon Historical Quarterly 117(1):108-139. Lantier, Harrison, and Shannon Tushingham (2017) Newly Discovered Studio Photographs of Revolutionary Anthropologist Llewellyn Lemont Loud. Journal of California and Great Basin Anthropology 37(1). Elizabeth Bollwerk and Shannon Tushingham, editors (2016). 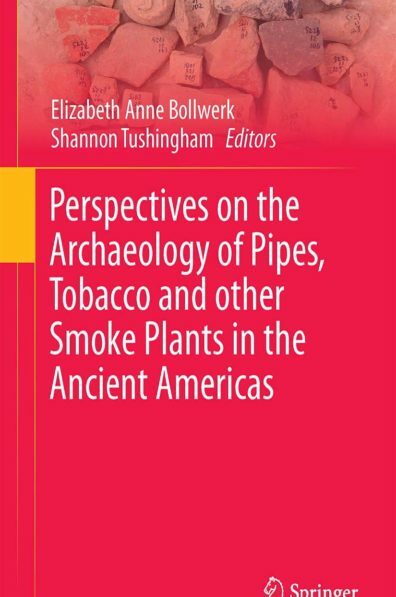 Perspectives on the Archaeology of Pipes, Tobacco and other Smoke Plants in the Ancient Americas. Springer Press. Tushingham, Shannon, Janet P. Eidsness, Tiffany Fulkerson, Justin Hopt, Colin Christiansen, Angela Arpaia, and Julilani Chang (2016). Late Holocene Coastal Intensification, Mass Harvest Fishing, and the Historical Ecology of Marine Estuaries: The view from the Manila Site (CA-HUM-321), Humboldt Bay, Northwestern Alta California. California Archaeology 8(1):1-35. 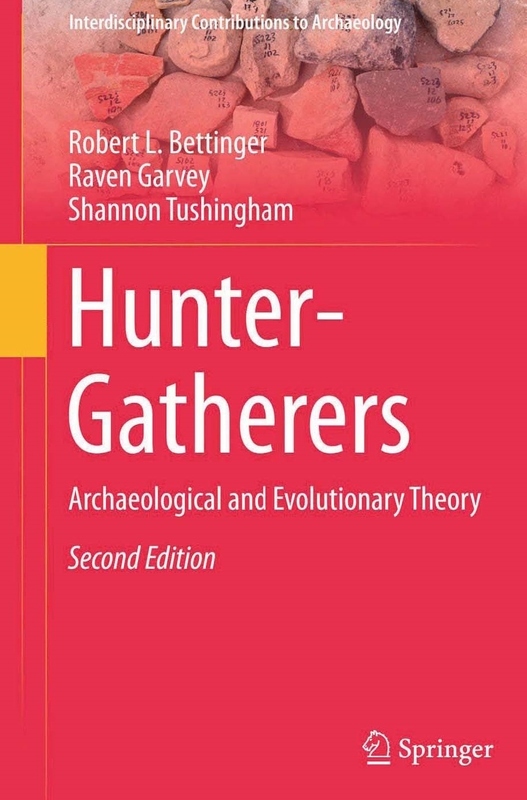 Bettinger, Robert L., Garvey, Raven and Tushingham, Shannon (2015) Hunter-Gatherers: Archaeology and Evolutionary Theory 2nd edition. Springer Press. Tushingham, Shannon and Colin Christiansen (2015). Native American Fisheries of Northwestern California and Southwestern Oregon: A Synthesis of Fish Bone Data and Implications for Late Holocene Storage and Socio-Economic Organization, Journal of California and Great Basin Anthropology 35(2):189-215. Collins, Mary and Shannon Tushingham (2014) Exploring the Future of Archaeology on the Plateau: The 2014 Washington State University Museum of Anthropology Plateau Conference. SAA Record. Tushingham, Shannon (2015) Tobacco. In The Archaeology of Food: An Encyclopedia, edited by Mary Beaudry and Karen Metheny. Rowman & Littlefield, Lanham, Maryland. Whitaker, Adrian, and Shannon Tushingham (2014) A Quantitative Assessment of Ethnographically Identified Activity Areas at the Point Saint George Site (CA-DNO-11) and the Validity of Ethnographic Analogy. Journal of California and Great Basin Anthropology 34(1): 1-15. Tushingham, Shannon, and Robert L. Bettinger (2013) Why Foragers Choose Acorns before Salmon: Storage, Mobility, and Risk in Aboriginal California. Journal of Anthropological Archaeology 32:527-537. Tushingham, Shannon (2014) Miniature Treasure: Geochemical Sourcing Indicates Socio-ceremonial Significance of an Obsidian Biface from the Red Elderberry Site (CA-DNO-26), Northwestern Alta California. California Archaeology 6(1): 132-136. Whitaker, Adrian, and Shannon Tushingham (2014) A Quantitative Assessment of Ethnographically Identified Activity Areas at the Point Saint George Site (CA-DNO-11) and the Validity of Ethnographic Analogy. Journal of California and Great Basin Anthropology 34(1). Tushingham, Shannon, Dominique Ardura, Jelmer Eerkens, Mine Palazoglu, Sevini Shahbaz, and Oliver Fiehn (2013) Hunter-Gatherer Tobacco Smoking: Earliest Evidence from the Pacific Northwest Coast of North America. Journal of Archaeological Science40(2):1397-1407. Tushingham, Shannon and Jennifer Bencze (2013) Macro and Micro Scale Signatures of Hunter-Gatherer Organization at the Coastal Sites of Point St. George, Northwestern Alta California. California Archaeology 5(1):37-77. Tushingham, Shannon (2013) Archaeology, Ethnography, and Tolowa Heritage at Red Elderberry Place, Chvn-su’lh-dvn, Jedediah Smith Redwoods State Park. 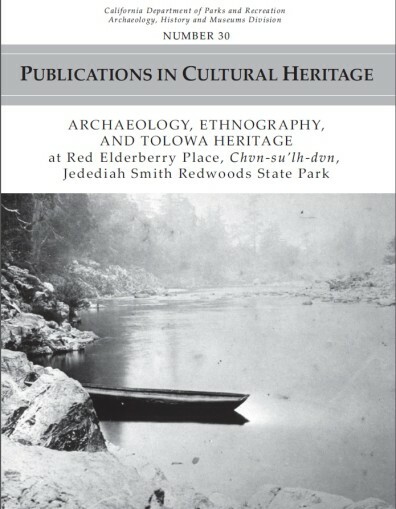 California Department of Parks and Recreation Archaeology, History and Museums Division, Publication Number 30. Sacramento. 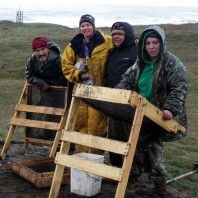 Tushingham, Shannon, Amy Spurling and Timothy R. Carpenter (2013) The Sweetwater Site: Archaeological Recognition of Surf Fishing and Temporary Smelt Camps on the North Coast of California. Journal of California and Great Basin Anthropology 33(1). Eerkens, Jelmer, Shannon Tushingham, Kari Lentz, Jennifer Blake, Dominique Ardura, Mine Palazoglu, and Oliver Fiehn (2012) GC-MS Analysis of Residues Reveals Nicotine in Two Late Prehistoric Pipes from CA-ALA-554. Proceedings of the Society for California Archaeology 26:212-219. 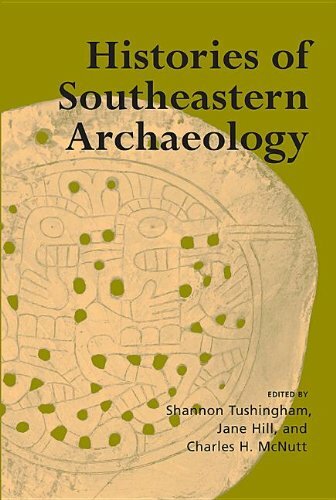 Tushingham, Shannon, Charles H. McNutt, and Jane Hill, editors (2002) Histories of Southeastern Archaeology. University of Alabama Press: Tuscaloosa.